The School and its facilities are based in the landmark building K2 in the heart of our Southwark campus. 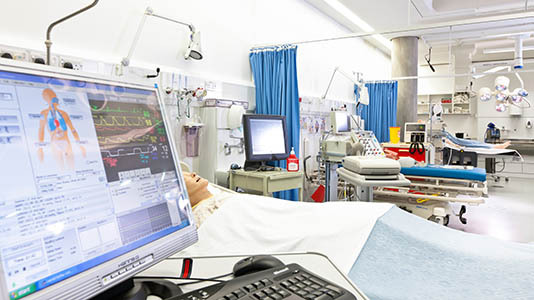 K2 features specially designed lecturing and teaching rooms, as well as a whole new suite of sophisticated skills laboratories that house many of the latest healthcare innovations. The laboratories allow students to practise their skills in a safe environment that accurately recreates hospital and community situations. 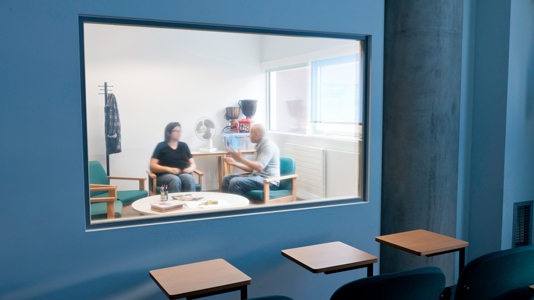 Our counselling and communication suite is the ideal place for Mental Health and Learning Disability students to role play realistic work-based scenarios. It contains two adjoining rooms with a one-way window and audio link that allows students to practise one-to-one situations with 'clients' while they are monitored by teaching staff in the adjoining room. The Nursing Skills Labs will prepare for your clinical placements and help you practise scenarios you might find challenging while on work experience. You’ll face situations and challenges that reflect life in a real hospital ward or operating theater.